The automobile industry has greatly enhanced. A couple of decades back carburetor cars were the most common. Then a major advancement was seen when Efi (efficient fuel injection) cars were introduced and bought to the market. There was an upbeat difference between carburetor cars and cars with Efi engine. For example if a carburetor engine gave an average of 10km per liter, the same capacity Efi engine gave an average of 20km per liter. The recent development in the specifications of the cars was the navigation system, Mp3 connections, airbags and rear parking sensors and a lot more. With the enhancement in the specifications of the cars the prices of the cars have also gone up. The blend of new models, dashing interiors, enhanced specifications and glamorous shapes gives an idea that the upcoming season will be a busy one for the car dealers. This article is all about the most anticipated classic cars of 2013. A list of the hottest models of rewound makes is given below. Ford Fusion’s expected price is between $22,000 and $30,000 in international markets. Most likely this car will be on the top of the list for car buyers. Its stylish shape, new innovative interior and modern specifications convinces you to buy it. The car has hybrid engine that means up to a certain speed it will run on battery, on crossing that certain speed the engine will start running on petrol. The Ford has been a luxurious car since its advent. The Ford Fusion 2013 is going to be on the hit list of its fans. Honda tends to release their vehicle at an affordable price with an estimated price tag of between $21,000 and $28,000 internationally, depending on the trim. No doubt Honda has been an executive make since its advent but this particular sedan is immensely an executive friendly car. Accord provides direct fuel injection and the best fuel economy among the previous models of Accord. The 2013 Accord also includes the Innovative Honda link system that allows you to connect you smartphone with your accord providing you access to media, music, maps and internet. The adaptive cruise control, forward collision prevention and blind spot warnings are included especially for the driver’s safety. Dodge dart has started taking its place in the market but is not as popular as Accord and Ford but there is group of people who prefer Dodge Dart on Accord and Ford. Dodge dart is available at a starting price of around $16,000. 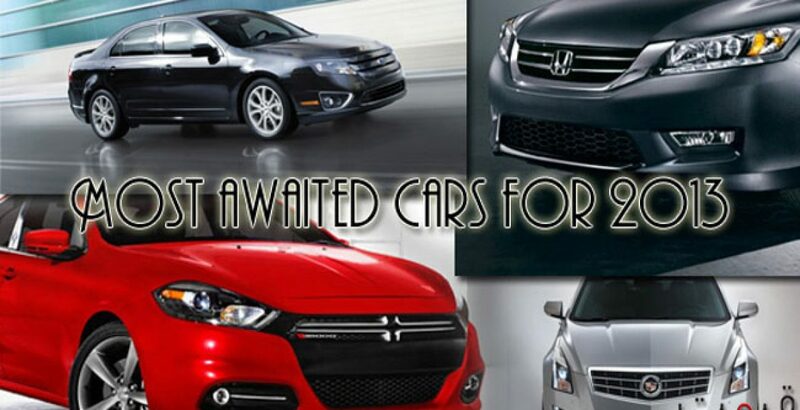 Its demand is gradually increasing and 2013 Dodge dart is expected to come with a lush interior and opulent lights. Cadillac ATS is expected to come to the market with an introductory price between $34,000 and $43,000. This car includes some extravagant features that make it unique and sumptuous to the previous models of Cadillac. Most parts of Cadillac are re-designed to reduce its weight. Updated safety features are added to the new Cadillac ATS. Entertainment, comfort drive, safety features, best fuel economy and magnificent outlay, this car is all in one.